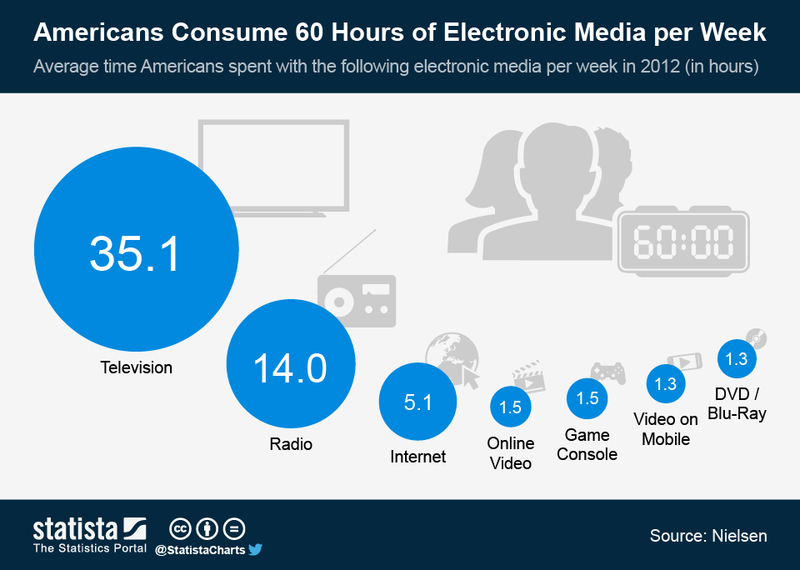 Adults spend over 10 hours consuming electronic media (internet, TV and movies, radio) a day (AdWeek). Teens use media (including electronic media, print, and music) nine hours a day (CNN). On average, Americans watch five hours of live TV a day (New York Times). According to Netflix, most people can finish a season of a TV show in about five days, spending two hours a day watching (New York Times). Social media accounts for about one-fifth (20%) of people's time online (The Media Briefing). 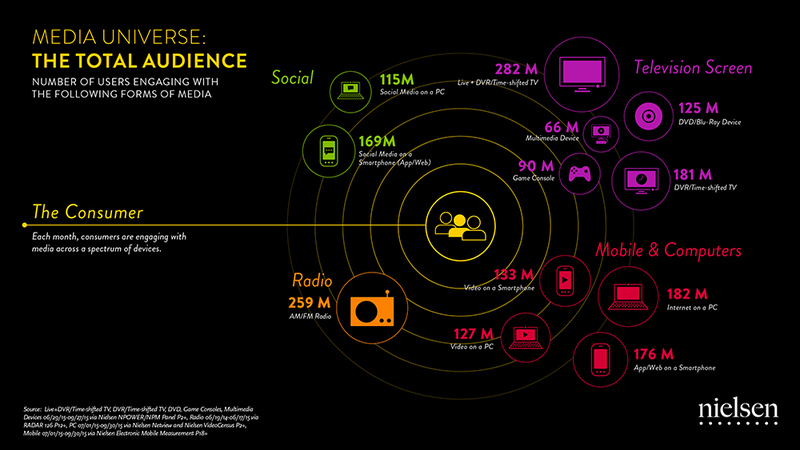 Facebook leads social media for both audience size and engagement (The Media Briefing). Almost three-quarters (74%) of Americans listen to music online in an average week (RAIN News). Just over 90% of Americans 12 and over listen to traditional AM/FM radio in an average week (Pew Research).